Snapchat wants you to make the next dancing hot dog, Google releases three new photography apps, robots pass the Olympic Torch, Airbnb develops new AR and VR features, and more. 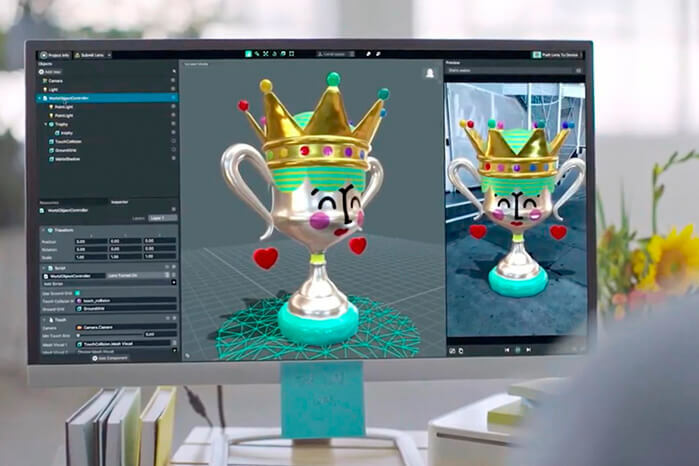 Snap releases Lens Studio, a program for developing your own AR lenses, Google introduces their first installment of photography “appsperiments,” apps can now be preordered in the App Store, a humanoid robot cuts through and passes the Olympic Torch through a wall, and Airbnb is using technology to get more people interested in their rental offerings. It’s freezing out there! Stay warm this weekend with a spiked cup of Joe, and enjoy some Weekly Wins! Oh, snap! You can now create your own AR lenses! Snapchat is known for its dancing hot dog, the AR lens that made waves earlier this year. Now, Snap is letting users create their own lenses – free-styling franks and otherwise – in their second official app, Lens Studio. Lens Studio is free to download for Mac and Windows desktop computers, and features the same internal tools that Snap uses to build lenses for Snapchat, allowing average users and advertisers to create AR lenses for the app. In hopes of staying ahead of the game, Google has released three brand new photography apps as the first installment in a series of “appsperiments.” According to Google, appseriments are all about “usable and useful mobile photography experiences built on experimental technology.” Inspired by Motion Stills, the three new apps include Storyboard (Android), Selfissimo! (iOS and Android), and Scrubbies (iOS). Storyboard transforms videos into single-page comic layouts with different frames and filters. Selfissimo! is an automated black and white selfie photographer that provides a hands-free photoshoot, snapping photos every time you strike a pose. Lastly, Scrubbies lets you manipulate the speed and direction of videos to create fun clips while feeling like a video DJ. Speaking of apps, Apple has launched a brand-new feature for the App Store: the ability to preorder apps. This means that developers can place their apps in the App Store up to 90 days before release. Customers can preorder and have them automatically downloaded when released. This simple, useful feature will be helpful to both shoppers and developers, and it’s kind of surprising that it hasn’t existed until now. The Winter Olympics, taking place in Pyeongchang, South Korea, is less than two months away and the Olympic torch has been passed between various people throughout its journey across the country. However, the most notable day for the Olympic Torch Relay wasn’t about a person, at all. 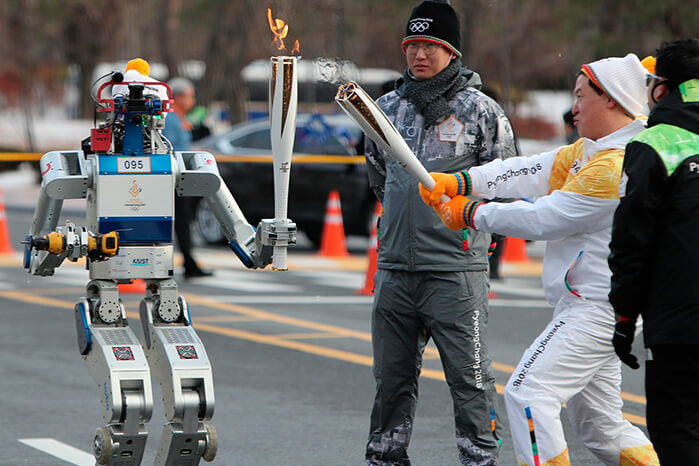 Instead, HUBO, a humanoid robot (wearing a cute Olympic toque with an orange pom-pom), had the honour of passing the torch and did so in a super cool way. The event took place at HUBO’s birthplace at the Korean Advanced Institute of Science and Technology (KAIST) in Daejeon. HUBO first gave Professor Dennis Hong, founding director of the Robotics and Mechanisms Laboratory at UCLA a ride (yes, the robot drove) to the spot where it would pass the torch. HUBO then walked up to a wall, drilled and cut through it, and successfully passed the Olympic Torch through the hole it created to the next person. To continue South Korea’s display of innovation and creativity, the torch was then passed to an aspiring scientist sitting inside KAIST’s massive, 8-foot tall, 600 pound human-operated robot the FX-2. This one, you’ve got to see. Airbnb is looking to get more people interested in the spaces they offer. 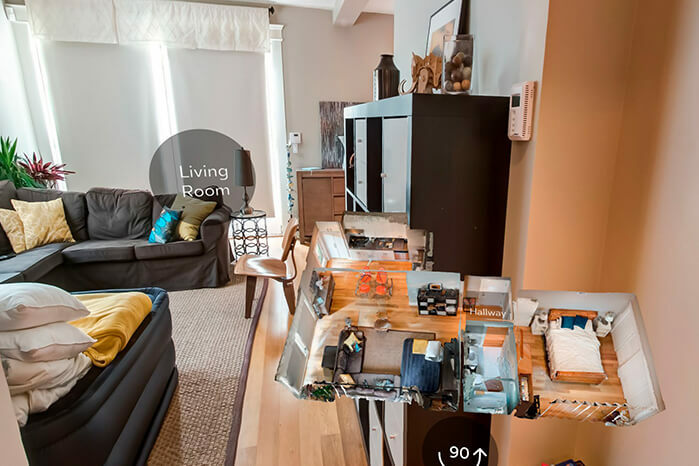 Their latest developments are in the form of virtual and augmented reality features, which will help guests find, tour, and navigate rental listings. 360-degree videos gives users an inside-look, and augmented reality help guests understand what it would be like to visit on a smaller scale. They’ve also suggested AR could help guests navigate spaces they’re staying in, such as pulling out their mobile devices to get directions right to where the coffee mugs are. As for VR, Airbnb is planning to use it to build trust between guests and hosts, and to provide virtual tours. Some of these plans have been in the works for a while, but Airbnb is committed to using technology to stay current.